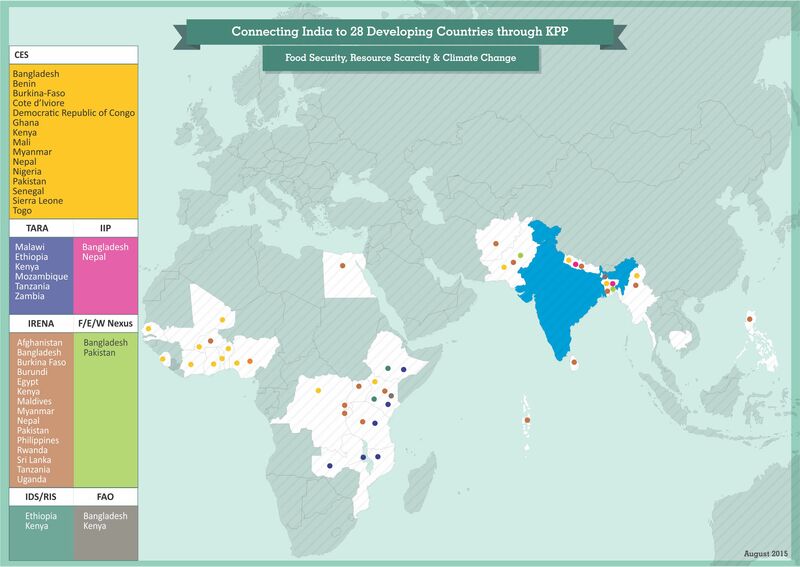 KPP envisages producing and disseminating high quality research and analysis products - sharing Indian and global evidence on policies that impact development outcomes and supporting advocacy towards strengthening policy design and implementation. KPP is designed to incubate four major work streams that are nationally-focused but have the potential to be developed into India-Global activity, namely i) Food Security, Resource Scarcity & Climate Change, ii) Trade & Investment, iii) Health, Nutrition & Disease Control, iv) Women & Girls and v) Significant studies which do not fall into either one of these workstreams or are across multiple workstreams are grouped under the fifth head i.e. 'Development Effectiveness'.